PORT ST. LUCIE, Fla—In an attempt to move the organization into a new era, the New York Mets announced Friday they will part ways with the New York Mets, releasing all 40 of its roster players and its entire farm system. 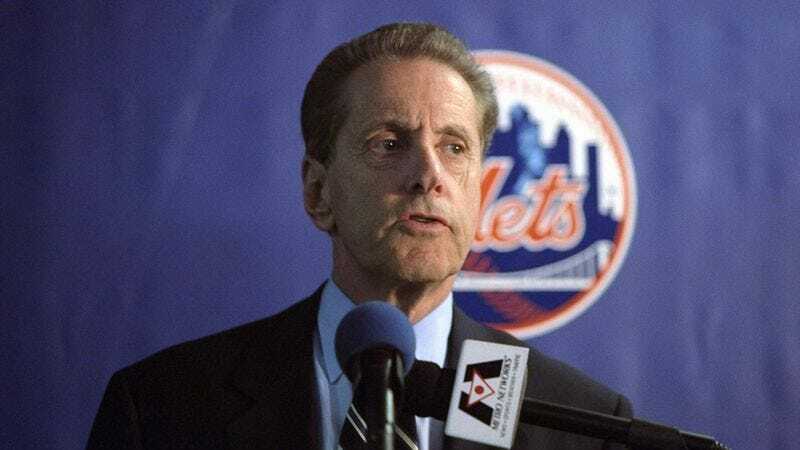 "They were given a fair chance to prove themselves, but they've shown a disappointing lack of productivity for the past 64 years," Mets general manager Sandy Alderson told reporters, citing the 1988 NLCS, the 1999 NLCS, the Subway Series, the 2006 NLCS, the 2007 and 2008 collapses, seven consecutive losing seasons in the 1960s, the decision to trade Nolan Ryan, K-Rod punching his girlfriend's father in the face, and Carlos Beltran as reasons to swallow the remaining $480 million left on every player's contract. "Mets fans associate an intense feeling of negativity with the Mets. Cutting the entire organization was the only way to get them back on our side." Following his statement, Alderson said, "Goodbye," and left, as he had just informed himself of his own release.